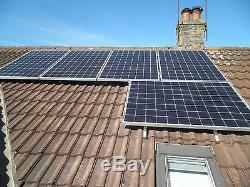 This is a panel system of approx. 800kw per month with 4.5 hrs of sun. 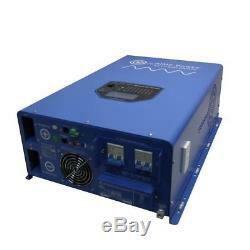 AIMS Power 12kW 48V DC to 120/240V AC Split Phase Pure Sine Inverter Charger w/ 36KW Surge. 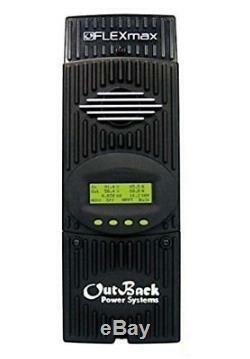 Outback Flexmax 80 FM80 MPPT 80 AMP Solar Charge Controller. Wiring, mounting rails w/brackets, and batteries available at an extra charge. Don't waste another dollar to the electric company. Own your power, and start being cool and warm for free. The item "Home Solar System 756KWH Monthly Output Off Grid" is in sale since Wednesday, September 20, 2017. 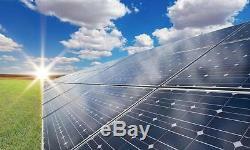 This item is in the category "Business & Industrial\Fuel & Energy\Alternative Fuel & Energy\Solar Power". The seller is "all4chevy2" and is located in Nixa, Missouri.